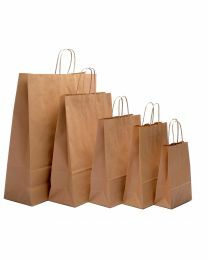 We stock twist handle brown paper bags in a variety of sizes. 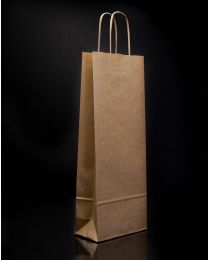 Both elegant and sturdy, these carrier bags are suitable for gift shops, boutiques and other small businesses. (We also sell tissue paper in a variety of colours at great prices – a perfect accompaniment). They are made from strong 100gsm brown Kraft paper. You might also want to browse our rope handle paper carriers too. These also come in a range of sizes.